Lemon has Many Surprising Benefits for the Hair and Scalp and can Help with Both Oily and Dry Scalp Issues. Lemon Oil and Lemongrass are all excellent natural oils for your hair. Not only do they cleanse the scalp but they also help your hair stay healthy and shine. The citrus flavored oil comes from the oil glands on lemon rinds. It is a drying and clarifying oil ideal for an oily scalp. 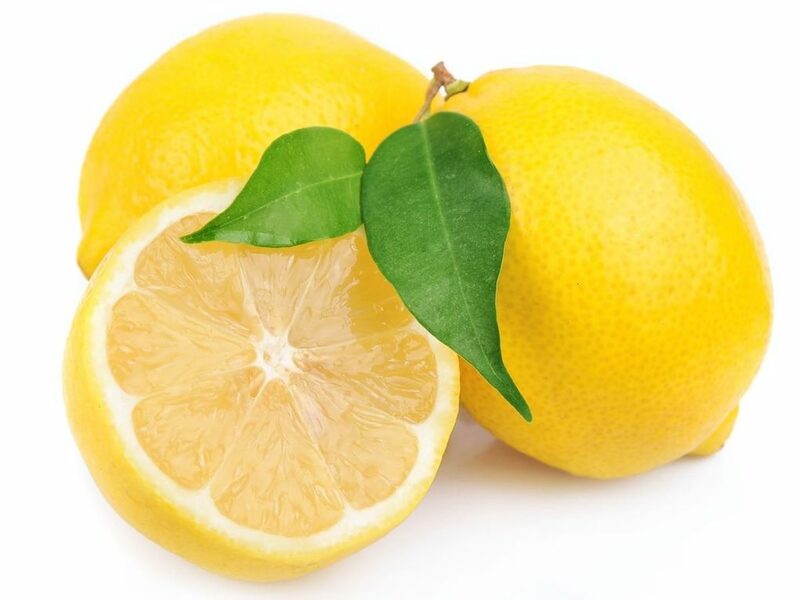 If you have dandruff or scalp acne along with oily hair, lemon oil can help. Also, caused by an overzealous sebaceous gland, greasy hair can leave your hair limp, flat, and stringy no matter how much you wash it. As with oily skin, lemon oil can reduce the amount of sebum on the scalp, as well as help rebalance the production of oils. It is antiseptic and antimicrobial, helping to resolve secondary infections that often-complicate acne and dandruff. A conditioner that contains lemon oil or lemon juice could replace your shampoo as the citrus will clean and sanitize the scalp. If you have ever deeply inhaled the scent of lemon oil, you’ve probably noticed that it has a stimulating, and yet calming, influence in the mind. This can be very soothing during stressful times or for those who have anxiety. 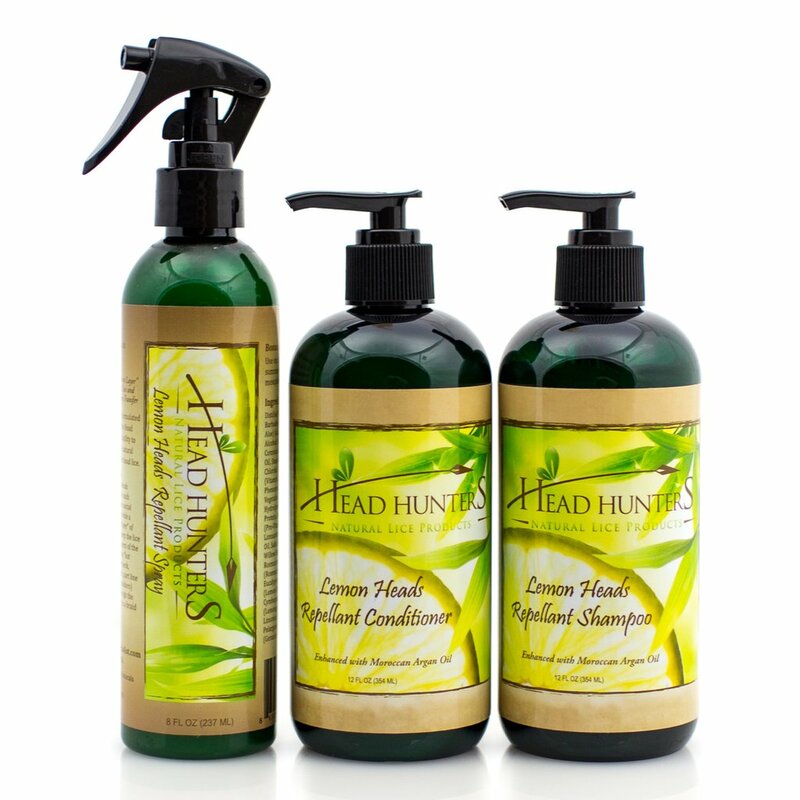 The Lemon Heads Repellant Trio Contains Lemon Oil, Lemongrass Oil, Lemon Eucalyptus Oil, in Addition to Many other High Quality Ingredients. With its antimicrobial and antiseptic properties, many use it for scalp conditions, namely scalp inflammation. Consuming lemon or lemon juice helps to fight infection and inflammation due to the high Vitamin C content. Vitamin C also helps to to produce collagen which is a crucial element in our hair and skin. This is why lemon may help your hair grow faster and help to heal and restore the skin. It is known to fight hair loss and when combined with rosemary and lavender it is a great hair treatment. It is also known for people struggling with oily hair and a popular ingredient in shampoos to combat too much oil and even to add shine. To receive these benefits you can add a few drops of oil to shampoos, conditioners, deodorants, soaps, and lotions. Because of its high citral and geraniol content, lemongrass oil is known to repel bugs such as mosquitoes, ants, and even lice.